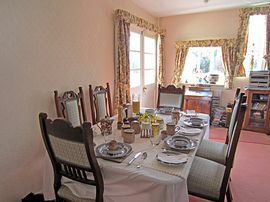 We offer a friendly, comfortable, quiet and historic bed and breakfast. 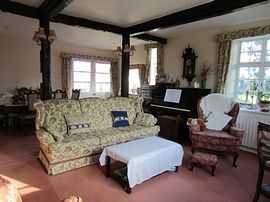 On the B4361 north of Leominster, set well back from the road, our home is around 400 years old. Or maybe you prefer the historic town of Ludlow with its castle which is seven miles to the north of us. The Welsh border is just over ten miles to the west. 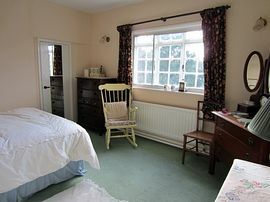 Tudor House is set in some five acres of our own land, part of which is a field. The old paddock is being planted as orchard and is also home to the chickens and bees. Can you spot the bee hives at the bottom of the orchard? 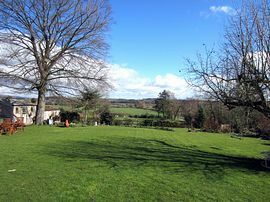 The remainder is a beautiful flower garden, vegetable plot and soft fruit cage. We make apple juice, cider and perry from our orchard, which our guests are more than welcome to sample. Some like doing a bit of gardening in 'our beautiful flower garden' as well! On the B4631 3 miles north of Leominster and seven mile south of Ludlow. 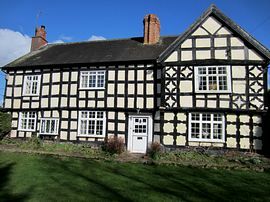 Tudor House is the next turning after the Balance Inn (travelling south) and on the same side.